Poulet's fans would be thrilled to hear that the contemporary French-themed bistro has recently opened an other outlet at Westgate. 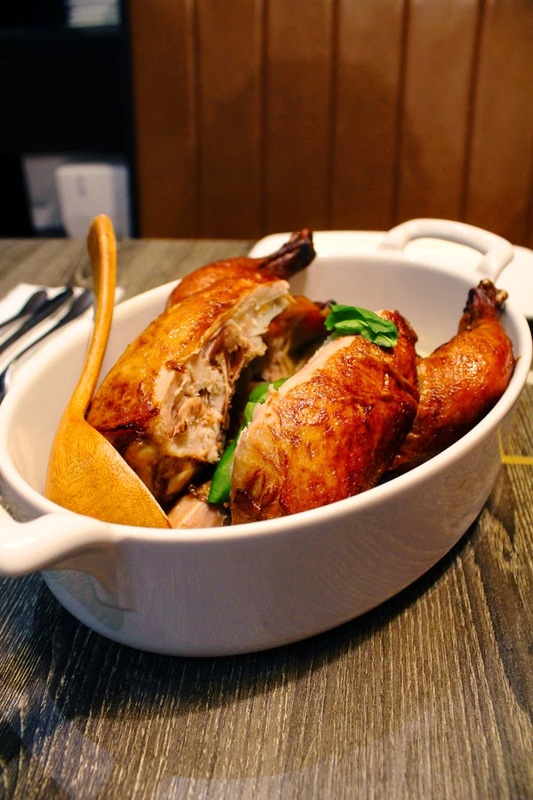 Being addicted to their signature roasted chicken dishes since my first visit at their Bugis+ outlet, I found myself going back again and again, each time bringing new parties to savour their offerings. Similar to most of their other branches, the furnishings are modern-chic and bring little hints of the al-fresco scenery in France, completed with an open kitchen concept where anyone could see the chefs in action. Just one complain regarding the ambience - their lights are too freaking bright. 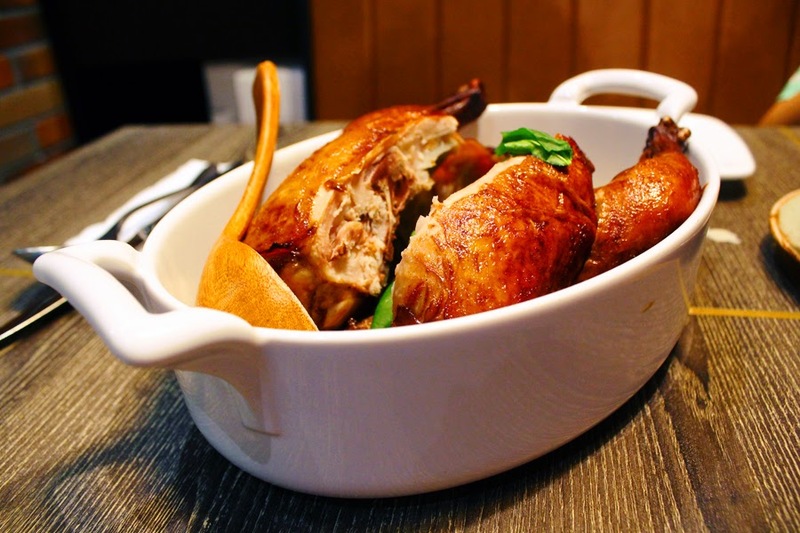 The house signature of Poulet, their roast chicken (S$28.80 for whole) which was marinated and slow roasted until golden brown using a traditional recipe, was savoury and flavourful, while the chicken meat in itself was tender and moist. Compared to the ones I had at other outlets, this was under the benchmark as it was slightly overcooked and the chefs were too stingy with the mushroom sauce and greens. 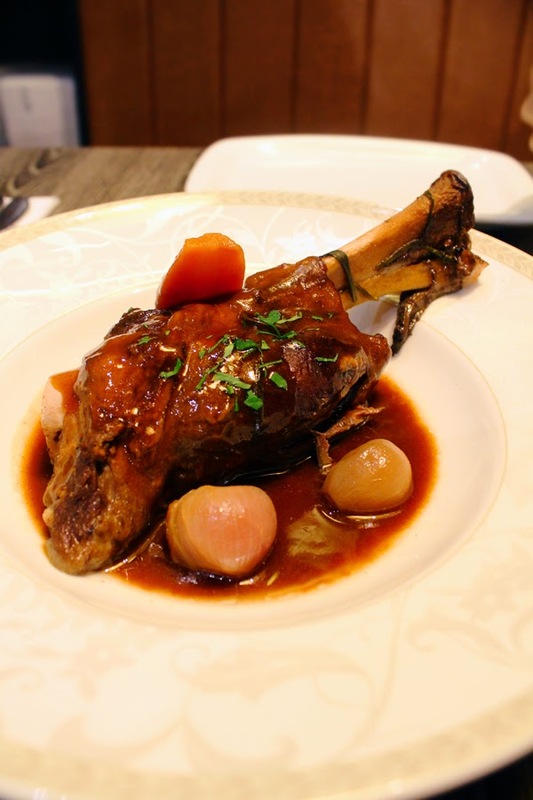 Mediterranean Baby Lamb Shank (S$15.80) was nothin' less than a superb rendition of well-braised meat complemented with root vegetables and rosemary, and carries a slight hint of tanginess. My mother thought that the smell was too distinctive, hence just a friendly note to those who doesn't take lamb. Nonetheless, a lovely dish. 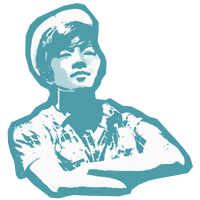 It's not surprising that different outlets possess different levels of standards. I've personally been to to the branches at Bugis+, Vivocity and Westgate, and I thought that the predecessor and the first Poulet branch has the highest quality compared to the other two. Nevertheless, I'd say Poulet makes decent French affair affordable to the common folks in Singapore.